Designers need to change their thinking. It's about what the data is telling you. Shopping used to be stimulating. Although its end was sales, its means was a mix of status and spectacle. It was social commerce in which partakers transacted not just cash, but also cachet. Nowhere was this more evident than in the earliest department stores, whose architects designed them to be destinations. In London, for instance, Harrods boasts the motto “Omnia, Omnibus, Ubique”—Latin for “All Things for All People, Everywhere.” Established in 1849, it has seven floors, comprising more than 1 million square feet across more than 330 departments. The store installed one of the world’s first escalators in 1898, opened a world-famous food hall in 1902, and sold exotic pets such as lion cubs until the 1970s. Today, retail stores aren’t palaces; they’re relics. Thanks to the convenience of “point, click, and ship,” in-store shopping no longer feels like a privilege; instead, it feels like a pain. But don’t count brick-and-mortar stores out just yet. A 2014 study by A.T. Kearney found that 90 percent of shoppers prefer buying products in person. Furthermore, 94 percent of total retail sales are still generated in brick-and-mortar stores—despite the e-commerce explosion. To ensure that in-store shopping remains relevant, brands aren’t trying to compete with technology; rather, they’re leveraging it. If store designers and technologists collaborate successfully, the result could be a new golden age of retail. Technology will permeate future stores on at least two planes. The first—in stores’ infrastructure—will be invisible to customers but invaluable to retailers, according to George Shaw, vice president of research and development at RetailNext, a San Francisco-based company that helps retailers collect and analyze in-store customer data. Beacons. Beacons emit low-energy radio waves known as Bluetooth Low Energy (BLE) signals. When mobile devices in physical proximity receive them, they can register a location and trigger a location-based activity. Retailers can direct shoppers to a specific product or department, for instance, or text them a coupon for a product when they pass it. They can use the same hardware to track shoppers’ movements, determining how they move through the store and what departments or displays they visit. Video cameras. Retailers increasingly are mining video for customer intelligence. Retailers can use video analytics and so-called “computer vision” to determine customers’ age, gender, and race; to count customers; to monitor the lengths of lines at registers and service counters; and to calculate dwell times at displays and endcaps. RFID tags. Retailers that apply radio frequency identification (RFID) tags to products have more visibility into inventory, which can be useful for omni-channel purchasing—allowing customers to buy products online and pick them up in store. 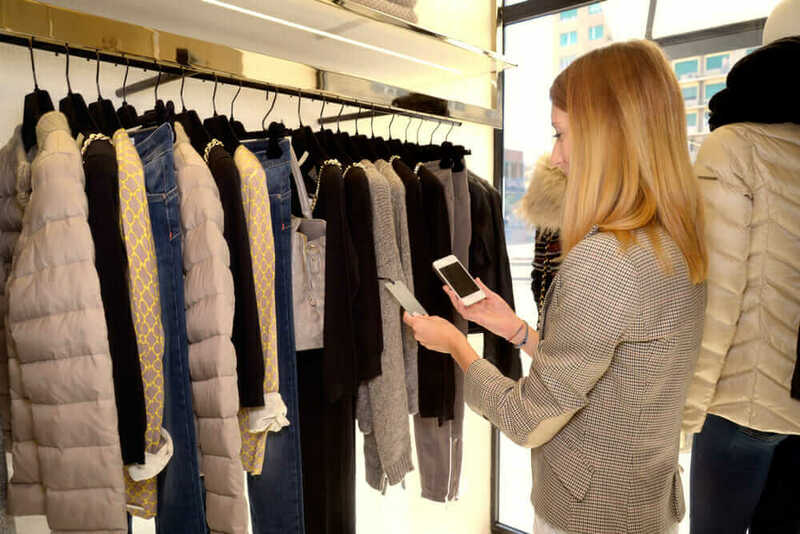 In combination with beacons, retailers could use RFID to correlate tagged products with individual customers who pick them up, yielding insights about who is buying what. Visual light communications. LED lights sporting visual light communications, or VLC, emit a unique lighting pattern that smartphones register through their cameras, giving retailers an omnipresent alternative to beacons. Guest Wi-Fi. When customers connect to in-store Wi-Fi, retailers can count the number of Wi-Fi devices present in the store, analyze their activity and length of stay, and determine whether there are repeat visitors at a specific store or across a group of stores, not to mention when and how often those repeat visitors return. Technology also will be customer-facing, according to Alex Shapleigh, design principal at CallisonRTKL (formerly Callison), a Seattle-based architecture firm specializing in retail design. Mobile point of sale. 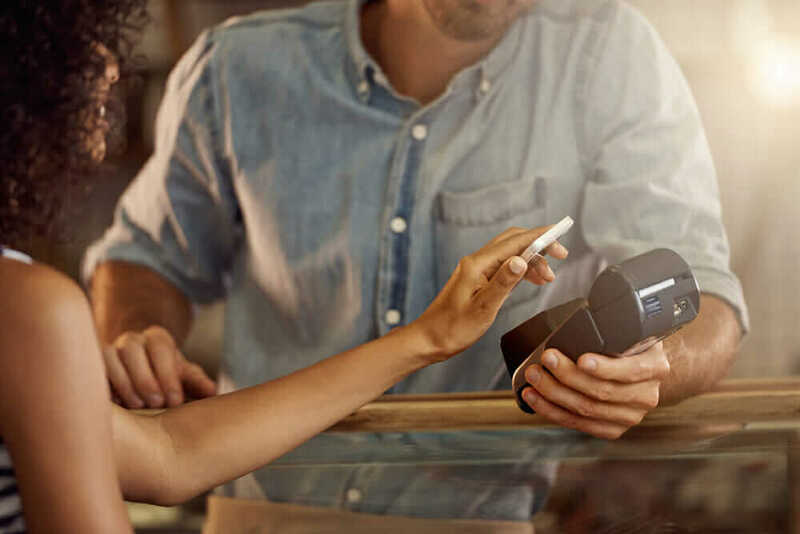 The proliferation of mobile payments and mobile point of sale (POS) systems means more retailers will replace traditional sales counters, with tablet-bearing sales associates deployed throughout the store. Virtual reality. Retailers can use virtual reality (VR) headsets to conduct immersive product demonstrations in virtual worlds, or to give tours of virtual showrooms. Retailers can likewise use augmented reality to layer computer-generated elements on top of real-world images—including one’s own reflection in fitting-room mirrors, helping shoppers virtually try on clothes. Touch screens. Retailers can deploy smart kiosks and touch screens to create an interactive sales environment, allowing customers to learn in-depth about a product or brand by engaging at a visual and tactile level. Projected media. New projection technology allows retailers to combine physical products with digital media—including images, video, audio, text, and even tweets—without the use of a touch screen; when a customer picks up a product on a table, a sensor activates an overhead projector such that the table becomes the touch screen. From beacons to touch screens, in-store technology will fundamentally change how stores are designed. Store designers will have to think not only about the requirements of hardware—where to put beacons, for instance—but also how to leverage the intelligence it yields. If data shows that shoppers only shop stores’ centers, for instance, designers will have to develop solutions—new fixtures, signage, visual merchandising, etc.—to drive them to stores’ perimeters. Designed by CallisonRTKL, the new Watches of Switzerland store in London features an interactive touch screen. Courtesy CallisonRTKL . What the data says is that shoppers want to move forward by going back: Like their forebears who visited Harrods, they crave emporiums that are experiential, not transactional, in nature. Because it combines customer data with experiential architecture, Watches of Switzerland’s flagship store on London’s Regent Street—less than two miles from Harrods—illustrates perfectly the newly forged intersection of technology, branding, and design. Designed by CallisonRTKL with the use of Autodesk AutoCAD, the three-story, 17,000-square-foot store opened in 2014 and boasts three different retail environments under one roof, each designed to appeal to a different buyer: watch enthusiasts, connoisseurs, and collectors. 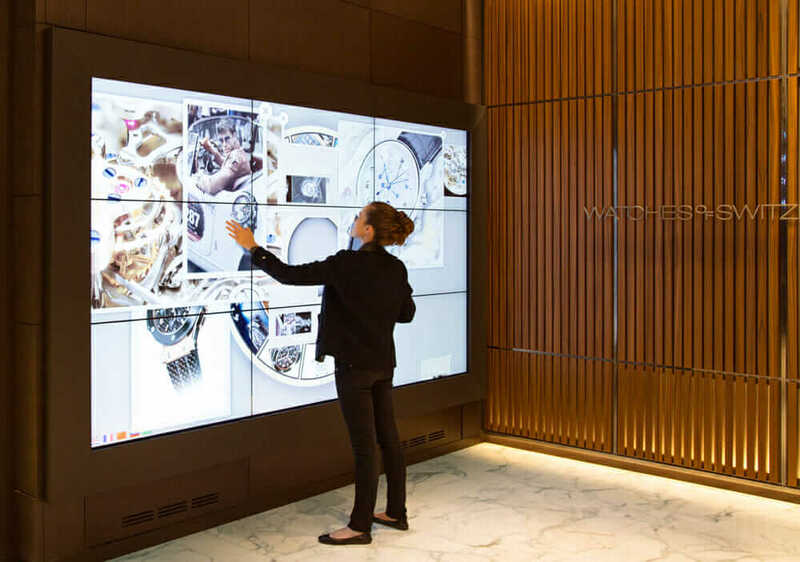 Large display panels and interactive touch screens let customers explore the history of individual watch brands. The high-tech space also doubles as a private venue for special events. The stores of yore owed their grandeur as much to design as to merchandise. To survive, it seems, tomorrow’s stores must do the same. This article originally appeared on Autodesk’s Redshift, a site dedicated to inspiring designers and creators, and was republished with permission.